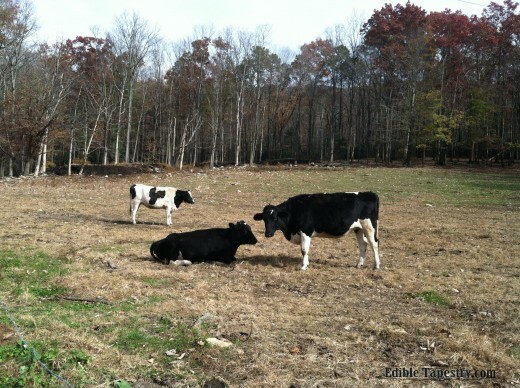 Susan and Terry English are sixth generation dairy owners in Marion, NC. They chose to open their cheese shop, English Farmstead Cheese Store, in May of this year on highway 221, just where the road begins to wind and climb toward Linville Falls. 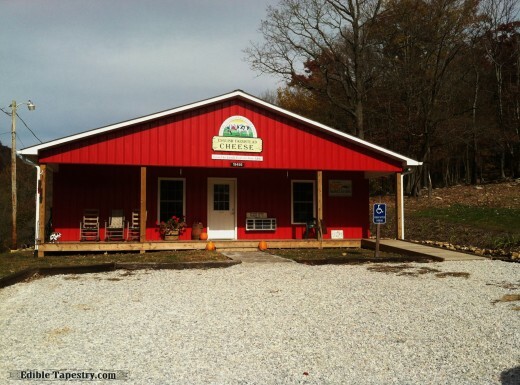 As soon as you pull up the gravel drive to the bright red building on the hill and exit your vehicle, you have the opportunity to “meet” the producers of the store’s fresh cheeses. 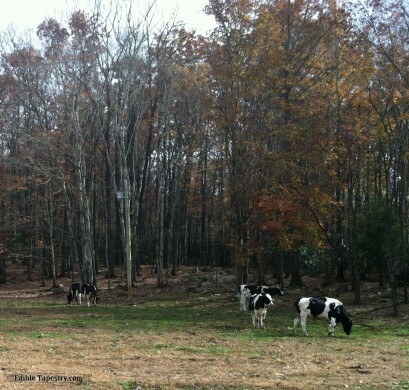 The farm’s Holstein cows, if you’re lucky, wait right at the edge of the fence that separates them from the parking lot. 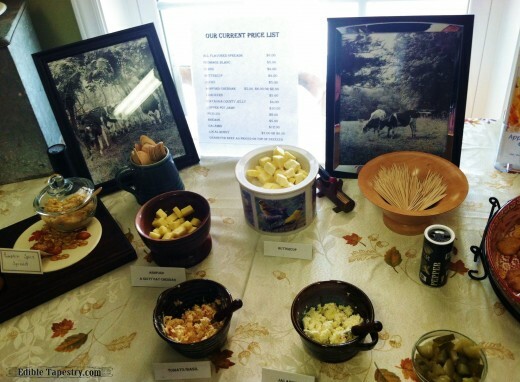 Inside, you’ll find a wonderful display of samples of the dairy’s aged cheeses, fresh curds, and flavored spreads. 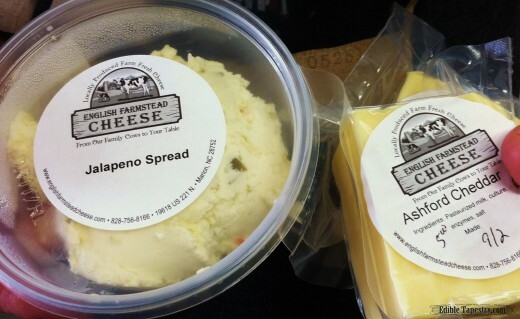 The Jalapeño Spread won us over, as did the Buttercup and the aged Ashford Cheddar cheeses. 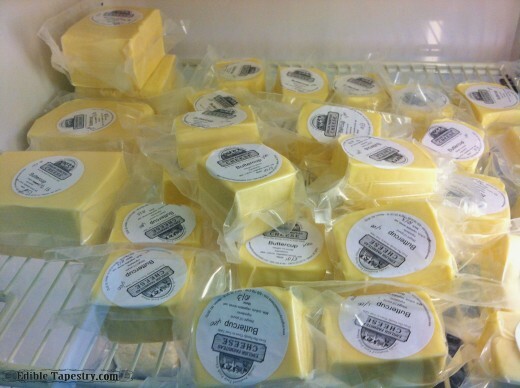 Buttercup is soft and mellow with a little tang, very much like a Havarti, and even spreadable when warm. 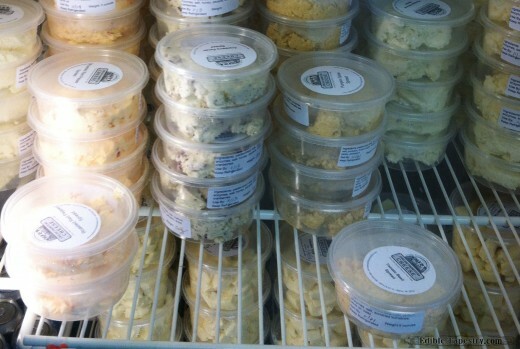 The English store refrigerator cases are loaded with packaged bricks and rounds of spreads, ready for tossing into a picnic basket with other items from local purveyors that are available in the store for purchase. 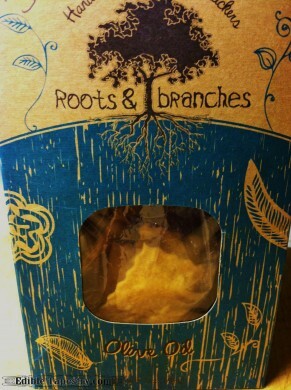 We particularly liked the crackers from Roots & Branches of Asheville. There are many varieties available at the cheese shop, but we chose the simple olive oil crisps to go with the jalapeño flavored spread we selected. 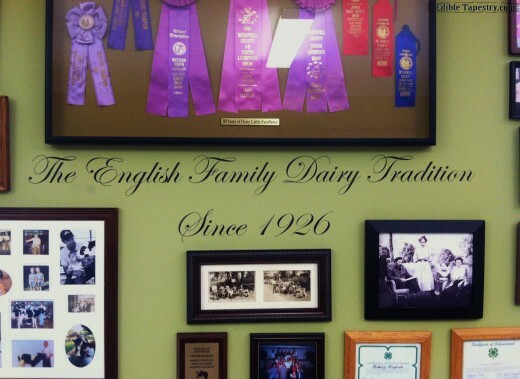 An impressive display of awards won by the dairy, combined with a little history of the English family, graces one wall. 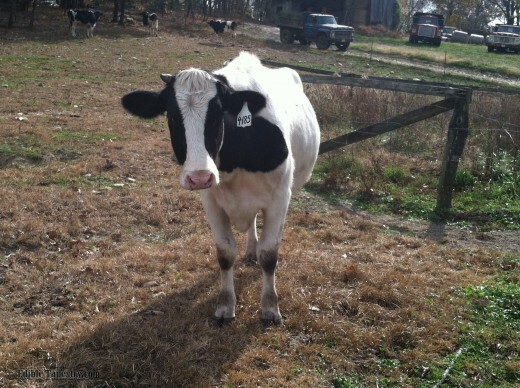 I was told by owner Susan English that the most strict food laws in North Carolina pertain to milk. 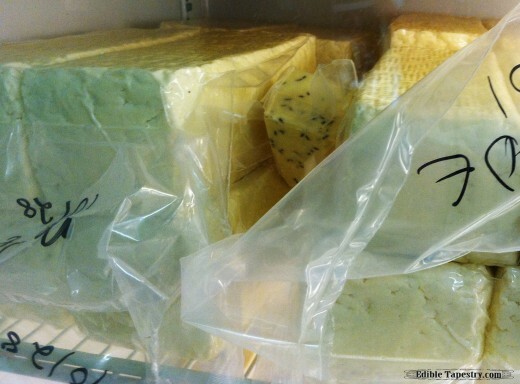 This stems from an outbreak of Listeriosis that occurred in Winston-Salem in October of 2000 from fresh cheeses made with raw, unpasteurized milk. She assured me that, while English Farmstead cheeses are made with non-homogenized whole milk, which improves the quality of the cheese, it is transported and pasteurized according to established safety standards. We stopped at the farm store on a trip to the area for a visit with my dad and his wife. 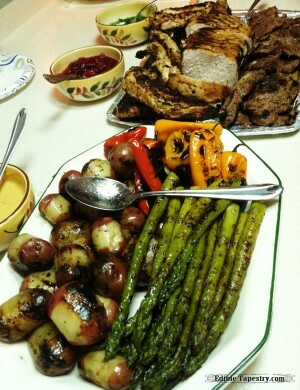 The Jalapeño Spread and crackers made a great appetizer for the grilled meats, vegetables, and fruit he prepared for our lunch. 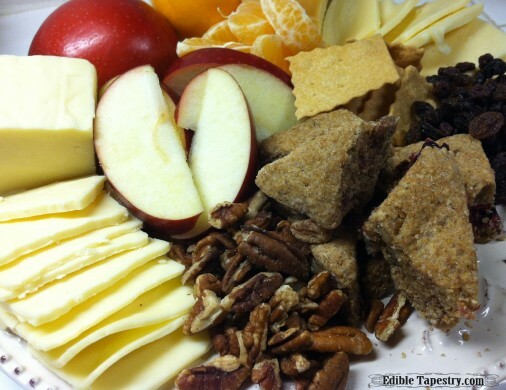 A portion of the Buttercup and Ashford Cheddar with fruits, nuts, Roots & Branches crackers and a few whole grain Cranberry Orange Pecan Scones made a fabulous dessert the next evening. 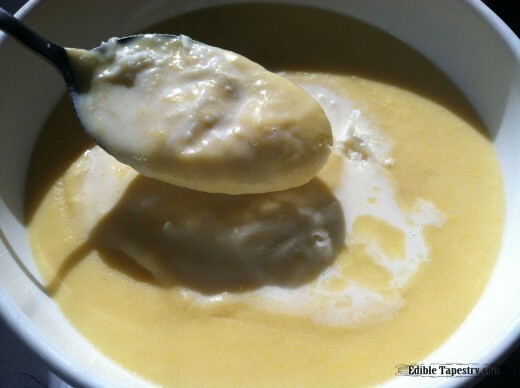 Later in the week, I used what was left of the Ashford Cheddar to make Creamy White Cheddar Pumpkin Soup. My husband and children agreed that I can forego making my from scratch macaroni and cheese for a while, as long as I provide this satisfying, more nutritious substitute. Visit their website for a list of available cheeses and to sign up for email notifications for the store and the farmstead’s blog. And don’t forget to “Like” their Facebook page and follow them on Twitter for useful information and updates on the dairy’s activities. 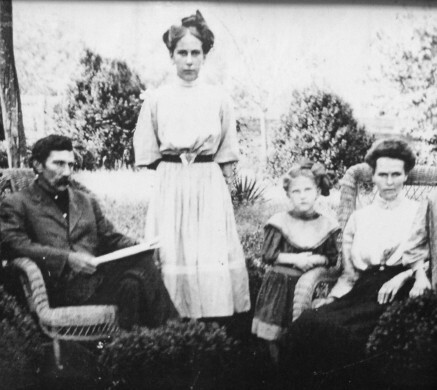 If you can’t make it up the cove to the store, the English Family also sells their cheeses on Tuesdays from 3-6 at the Historic Marion Tailgate Market. 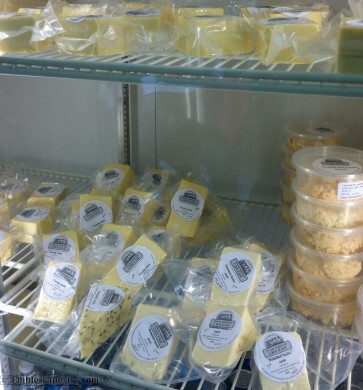 A gift basket service is provided, but finished baskets must be picked up at the cheese store. Fridays and Saturdays from 10 a.m.-6 p.m.